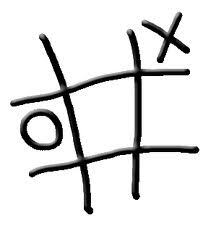 A fun game that all kids like to play is tic-tack-toe… but have you ever heard of playing this game on the golf course? It is simple, fun and effective. Set up a tick/Tack/Toe grid 3 ft X 3ft on the floor or putting green using string, cardboard, or masking tape. Have player putt to the grid. If the ball stops in a square they must mark the position of the ball with a coin big enough to see. Play until a player has made a tick/tack/toe. Tic-Tack-Toe is good for Little Ones to learn target orientation and distance control. Try it in the home on or on the putting green.